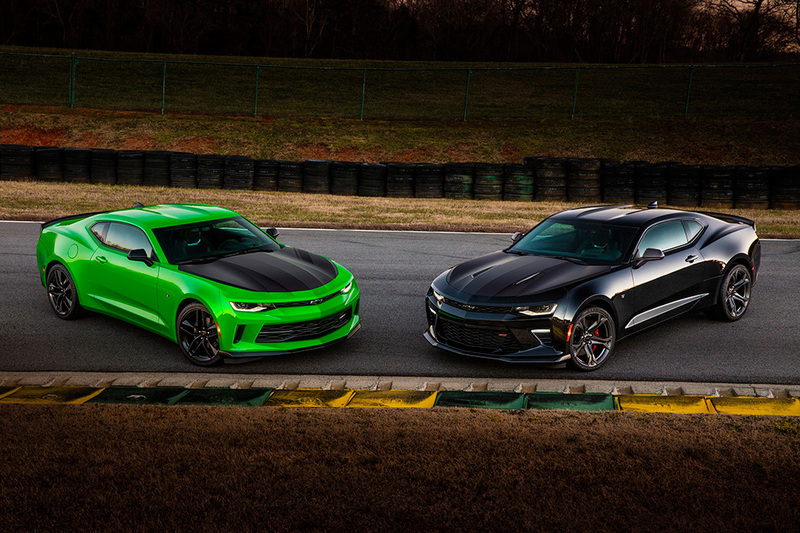 Soon there will be two new options for maximizing your track time, as Chevy readies two new versions of its 1LE performance package. The 1LE package has a history going back to the 1980s; four modified Camaros were built for Showroom Stock racers in 1988. 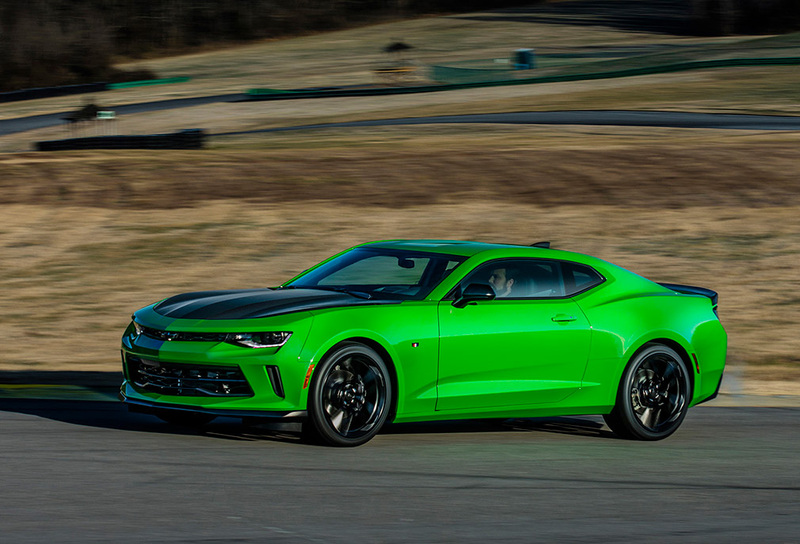 It was offered on fourth-generation Camaros through 1999, and then it showed up again in the fifth generation in 2013. Now the 1LE is back, and it’s accessible to a wider swath of Camaro buyers, with availability on both the Camaro LT and SS. Visually, both 1LEs are set off with satin-finished black hoods. 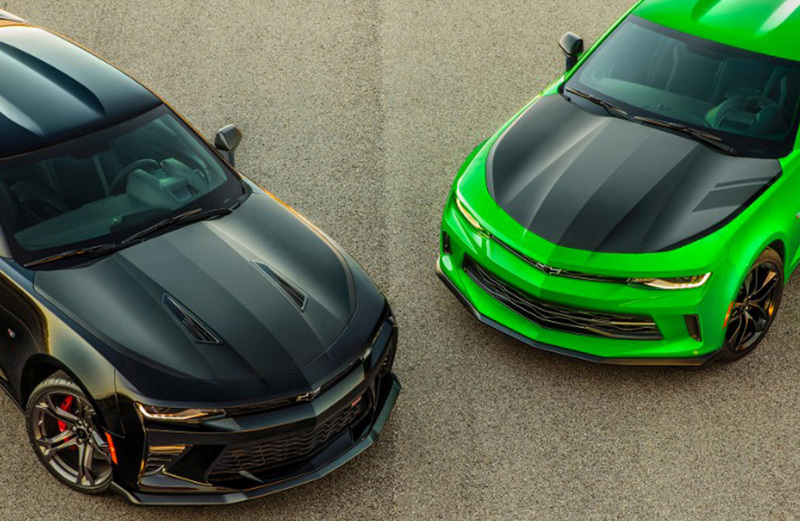 In these promo shots, the SS is black, and the LT is green. The lighting here really shows the complex contours on each, with vents for the SS. It’s significant that the 1LE is offered on the LT as well as the SS; it’s typical for track-specific capabilities to be restricted to the most-powerful trims in the lineup. You’d expect them for the SS with its 6.2-liter, 455-horsepower V8, and they’re a treat for the 3.6-liter, 335-horsepower V6. 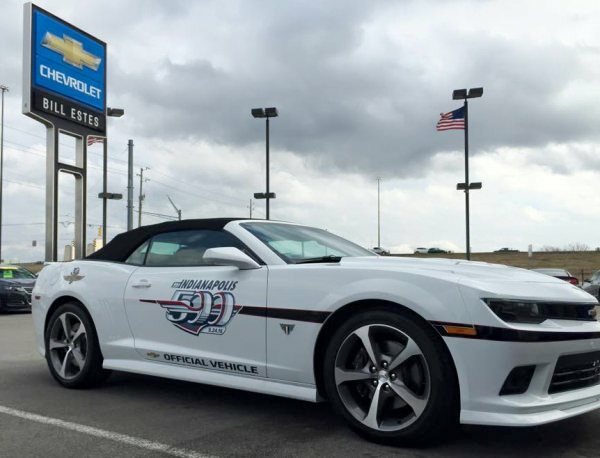 Offering the 1LE on the LT also serves to emphasize the Camaro‘s lightweight Alpha platform, which debuted with the 2013 Cadillac ATS. If you’re one who values nimbleness as much as or more than brute power, then the 2017 LT 1LE could be the ticket. By the same token, the SS’s 1LE package is brawnier than the LT’s. Both have Brembo four-piston front brake calipers, but those on the SS are bigger, and they clamp down on two-piece brake rotors. Another example is the limited-slip differential; the LT’s is mechanical, with a 3.27 gear ratio. The SS’s is electronic, making it a segment exclusive, and it has a more aggressive 3.73 ratio. And tires: the LT’s rears are 275 mm wide, while the SS’s stretch to a asphalt-smothering 305 mm. 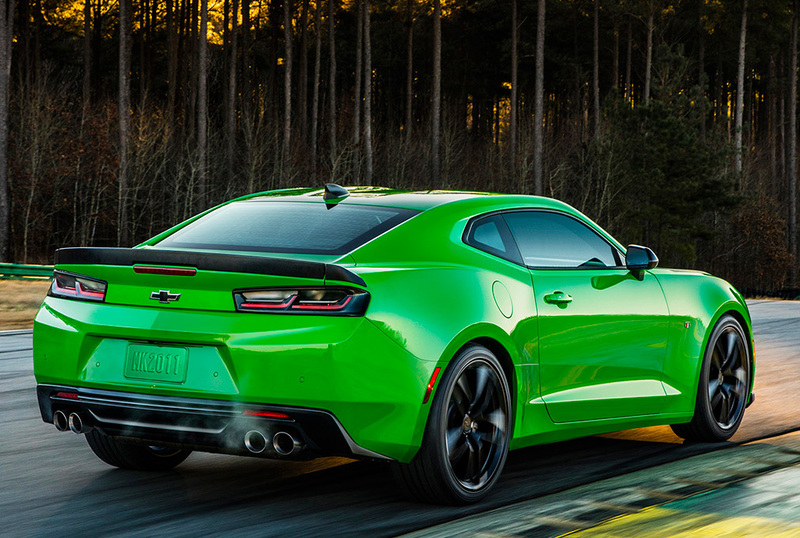 Otherwise, the LT adds track aids like coolers for engine oil, differential and transmission coolers, as well as the Camaro SS’s fuel system, to better maintain its pressure in sharp curves. But, you won’t need a track to appreciate the LT’s FE3 sport suspension, suede-trimmed steering wheel and short-shifting manual transmission. If that sounds good, then the SS might smack of greatness. It upgrades to a new FE4 suspension with GM’s Magnetic Ride Control. Tires are Goodyear Eagle F1 Supercars that were dialed-in just for the SS. The optional Recaro seats in the LT are standard in the SS, and both trims can be had with a performance data recorder. So while the 1LE package reflects clear performance intentions, it’s expressed in two distinct ways. The LT is aiming to be king of the V6s, as it promises serious racing creds in a market more geared for relative practicality. And the SS 1LE is ready to take on the big guys, like the Mustang Shelby GT350 and Challenger Hellcat. 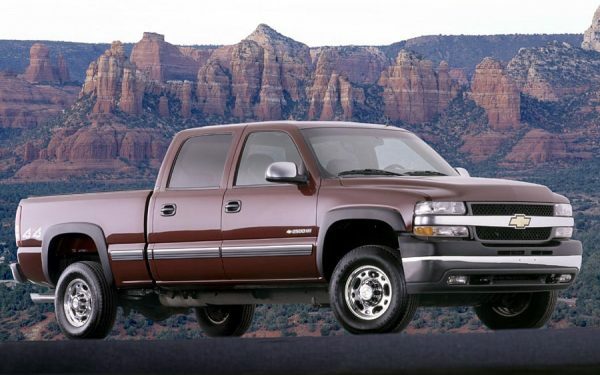 Look for the 1LEs to hit Chevy dealers in late 2016 as 2017 models. We can’t wait. In the meantime, check out BestRide’s search of 2016 Camaros here. Car Doctor Q&A: No Start. Now What?